I was in the fourth grade. I was sleeping in my living room with my Dad, we pretended we were camping by laying out our sleeping bags in the front room (lol). I was wearing a rug rats t-shirt. My dad and I heard a screech, and so he was like "OH" we both went to look out the front window, and our motion lights were going off... we saw this really tall lanky winged red creature with wings and I was MORTIFIED. I am not lying, this totally happened!!!! I even remember what I was wearing, in the fourth grade!!! 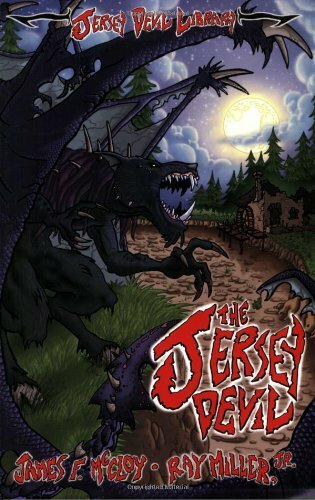 I am glad someone posted about the Jersey Devil.